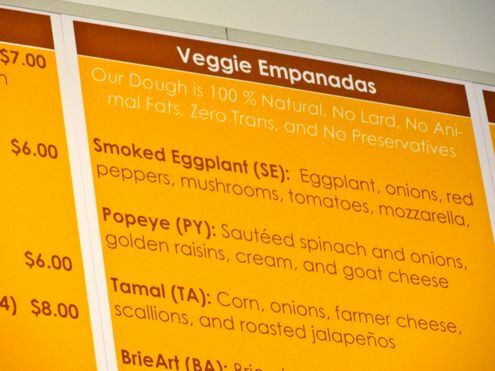 I work a block away from the new Panas Gourmet Empanadas on Elm Street in downtown Bethesda, and have been waiting for its arrival all summer. 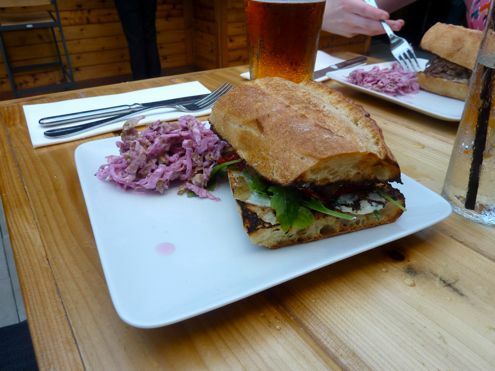 It looked like a great new lunch option to add to a mix of choices near me. 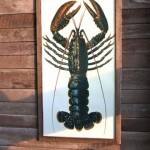 Once it opened, I went with my friend Aileen to check it out and was immediately impressed with the decor and menu. 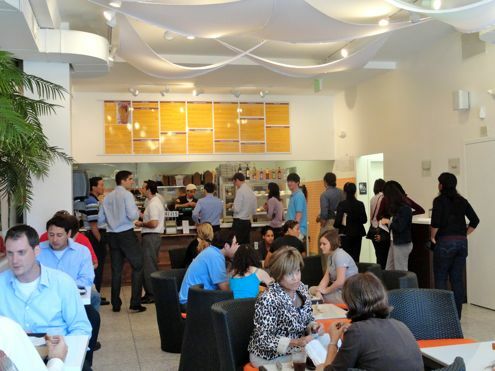 The design was sleek and modern, along the lines of mainstays Cava Grill and Sweetgreen on Bethesda Row. 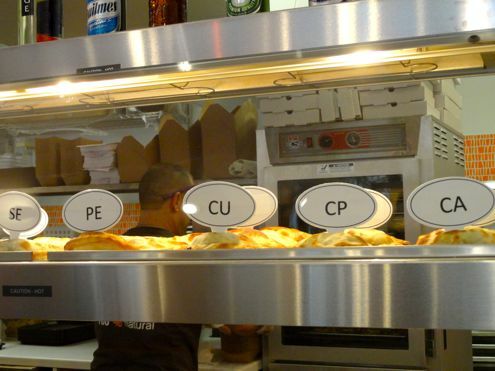 If you were going to order just for yourself, your have a choice of four combinations: an order of three empanadas, three empanadas plus a salad, and then four or six empanadas. 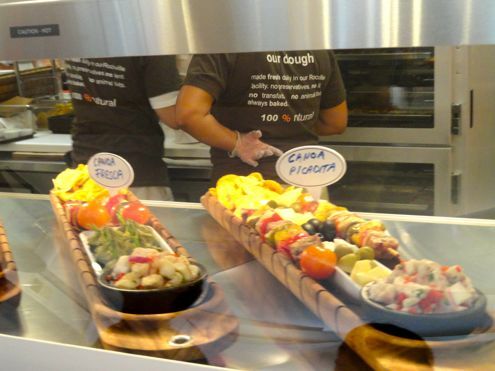 You can also choose “canoas” (platters to share) or make a meal out of salads and sides. Each meal also comes with choice of dipping sauces and plantain chips. Aileen and I each decided to get a combo of three empanadas while selecting different sauces so we could compare them. My empanada order included the smoked eggplant (eggplant, onions, red peppers, mushrooms, tomatoes, and mozzarella), Popeye (sautéed spinach and onions, golden raisins, cream, and goat cheese), and chicken pesto (grilled chicken with fresh pesto, tomatoes, and onions). I definitely liked the flavors I choose, and we both agreed that the veggie empanadas tasted slightly better than the ones with meat, but with so many options to choose from, we would have to go back to try the other varieties. I think my favorite was the smoked eggplant. The Popeye was great too and tasted a little like Spanakopita. We tried all the sauces offered: Salsa Verde, Aji, Chimi, and Pimentón. They ranged from mild to spicy to smoky, and it was fun to taste all the different combinations. 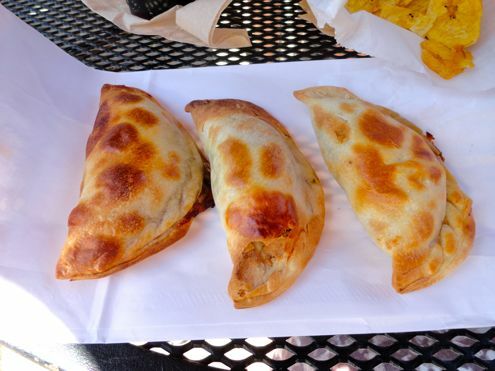 The empanadas themselves are small, so you can easily eat three and not feel stuffed while four would do the trick if you are especially hungry. Bottom line: check out Panas. 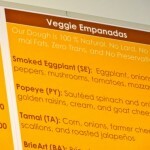 Julia’s Empanadas might be the queen of empanadas in this town, but Panas may give it a run for its money. 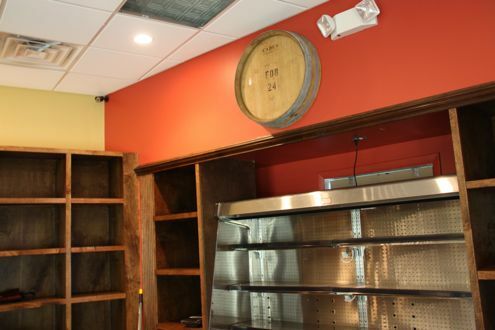 Bethesda residents won’t have to wait much longer for Beer Wine & Co. to open its doors. The craft beer and wine store could potentially open as early as this Friday according to one of the partners we talked to yesterday. 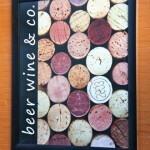 As we reported back in March, Beer Wine & Co. will be the sister operation of nearby Food Wine & Co. 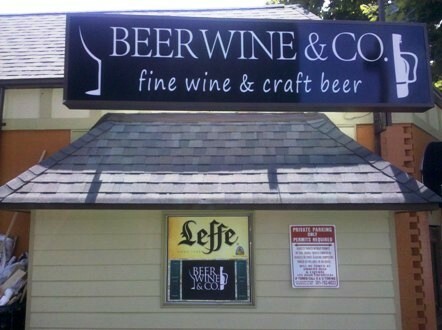 The store plans on selling most of the beer and wine found on Food Wine & Co.’s menu, and then some. Considering that Food Wine & Co. has one of the better beer selections in all of downtown Bethesda, residents won’t have to travel far to find their favorite microbrew. 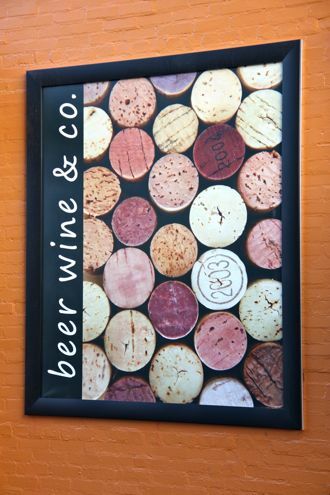 Beer Wine & Co. also plans to sell sandwiches, meats, and cheeses in addition to their extensive beer and wine selection. 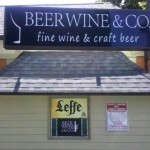 The store plans on featuring a variety of American craft beers as well as a vast selection of imports. 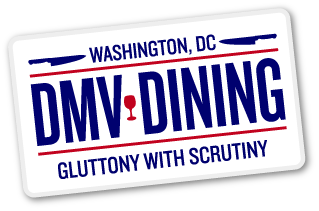 Pending Montgomery County inspection, they are hopeful to open this Friday, but if not, then sometime next week at the very latest. 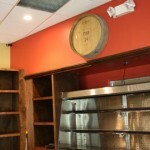 Beer Wine & Co will be located on 7029 Wisconsin Avenue in downtown Bethesda. 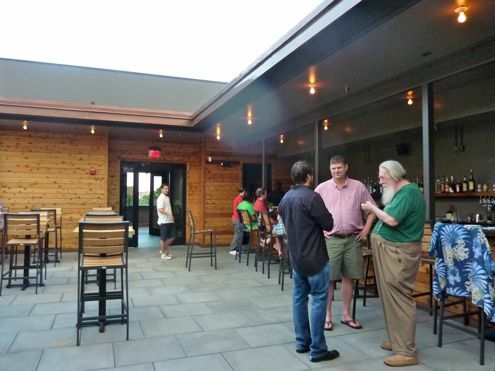 While word is out that Jack Rose will officially open its roof deck this weekend, we were lucky enough to check out this gorgeous space last Saturday night. We had heard a lot of buzz about this new DC behemoth, and couldn’t wait to see if it lived up to the hype. 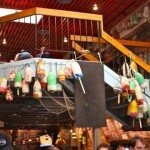 Unfortunately the main bar area wasn’t open when we visited, and won’t be until June 14th according to Eater. 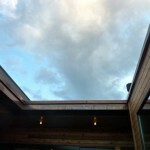 No matter, we walked right upstairs and were very impressed by what we saw. 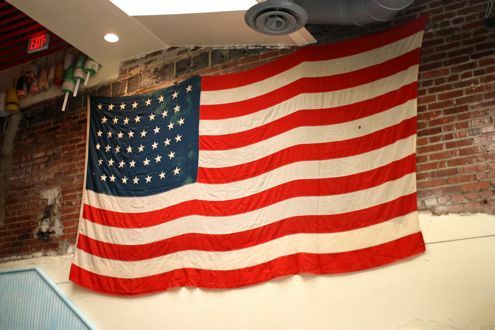 The bar itself actually consists of five separate bars, include a main floor, a roof deck with a main bar, a side deck bar, a beer basement, and an executive tasting room. Phew! Color us impressed the minute we walked in. Although the main room was still under construction, we peeked in from the window and couldn’t get over how long the bar itself was, 52 feet to be exact. There will be 20 taps alone there, along with rare casks and imports in the den downstairs, with shared taps upstairs in addition to cans. Essentially a beer lover’s heaven. 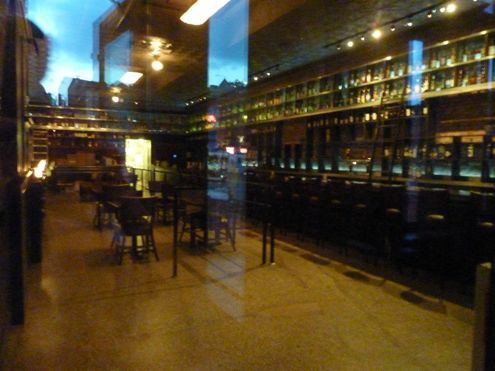 But this place is really catering to those who love Scotch: there will be over 1,000 types of Scotch and bourbon, not to mention an extensive cocktail list, mainly for the tiki-type bar outside. Yep, this place is paradise for drink lovers of all kinds, they don’t discriminate! Right away we were impressed with the layout of the open-air terrace. While you can see the Washington Monument off into the distance from the top of Jack Rose, the decor made you feel like you were somewhere in New York or LA and not blocks away from the rambunctiousness of 18th Street. 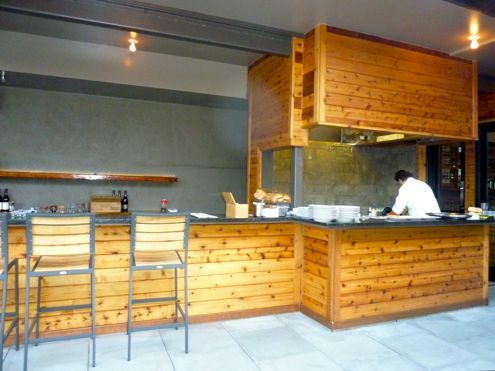 There’s a long bar against the wall, but plenty of space for standing around and some tables as well. 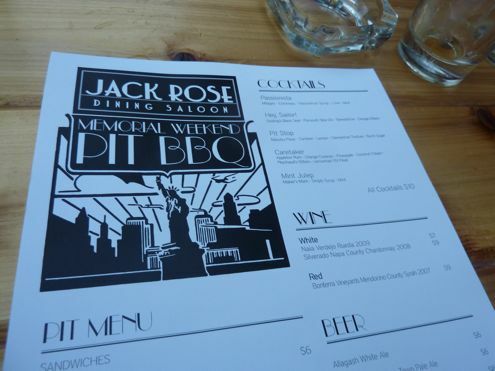 A nice touch is the pit barbecue area, where you can order sandwiches and other dishes. 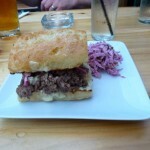 Brett ordered the pit beef on Ciabatta bread while I ordered the grilled vegetable sandwich. 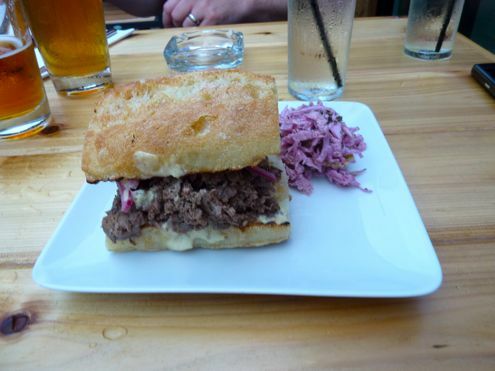 Both were served with a type of purple slaw on the side. I really liked my sandwich, which came with goat cheese, grilled eggplant, red peppers, and spinach. The veggies held up well against the crunch of the bread, and the creamy cheese went well with the char of the grilled veggies. Brett enjoyed his sandwich as well, but his only complaint was that the drippings from the beef made the bread a little too soggy resulting in a little messiness. 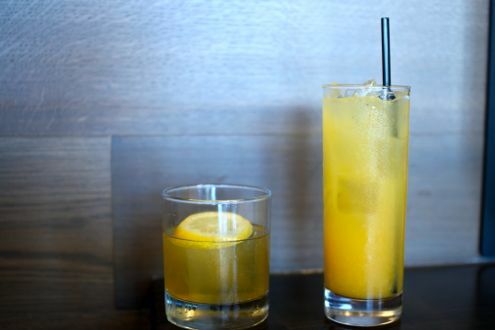 We also each ordered a Bell’s Oberon, perfect for an early summer night. I was tempted to try some of the cocktails listed, but thought I would save them for another time. After we ate, we walked around the outdoor area to check out the side bar, which wasn’t yet open, and the inside room, where there was a party already going on. We can already envision this place being packed on the weekends, and lamented the place wasn’t fully open in time for Brett’s birthday, since it would have been perfect. 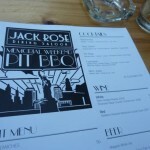 Obviously we don’t have a complete picture of Jack Rose since it wasn’t officially open or ready yet, but all we can say is that DC is in for a treat and we can’t wait to make a return visit. 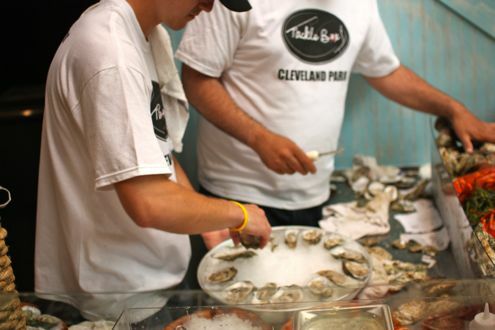 After years of vacancy at the former McDonald’s space, Tackle Box finally opened its doors yesterday. 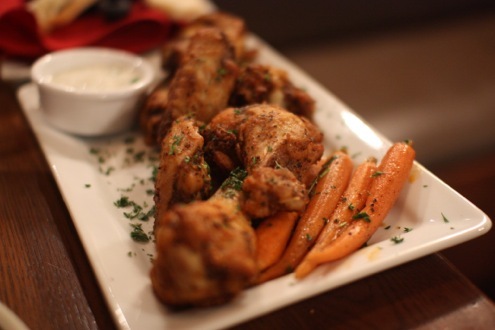 Between this and Medium Rare, new life has been injected into the Cleveland Park dining scene. 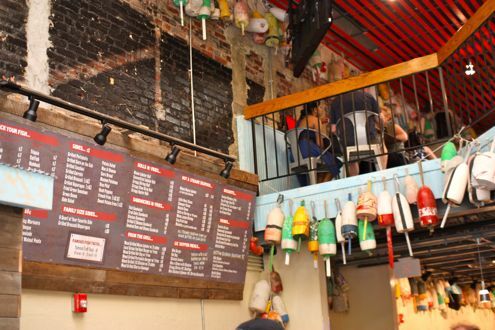 We had the opportunity to check out the restaurant’s newest location (the original is located in Georgetown, right next to sister venue Hook) for a friends and family event. 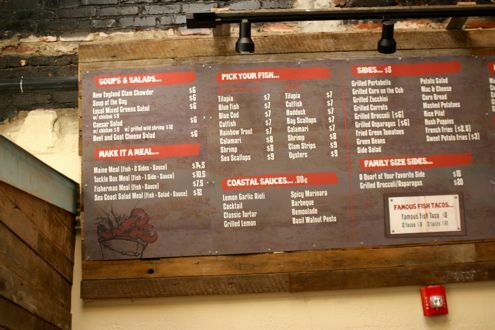 Tackle Box offered a stripped-down version of their regular menu, at no cost, from 4pm to close. Talk about spreading goodwill to the neighborhood! 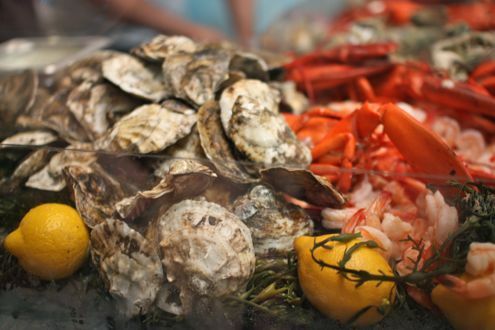 If you are not already familiar with Tackle Box, they are a casual seafood eatery that offers selections of grilled and fried fish, oysters, lobster rolls, clam chowder, and much more. 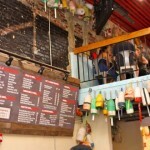 The Cleveland Park location, however, is not only two stories, but also features an expanded menu. 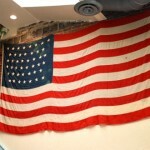 Once we stepped inside, we felt like we were transported to the shore as the place was packed with communal picnic tables along with servers who looked like they were no older than 20 years old. 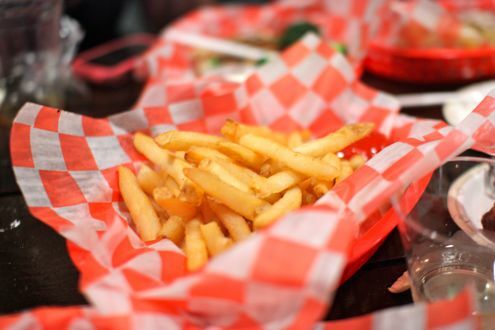 Not that you’ll be looking for elite service with this type of venue as orders are brought out by number with servers hunting you down with plastic trays with meals prepared in paper plates/platters. The huge bar that runs down nearly the entire length of the bottom floor looks like a great gathering place after work. The best part? 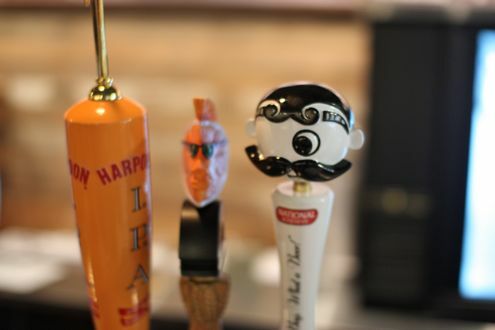 They offer Natty Boh on tap! Rachel and I split a half dozen raw oysters prepared at the raw bar by the front of the house. Accompanied with cocktail sauce and vinegar, these were some surprisingly large oysters. 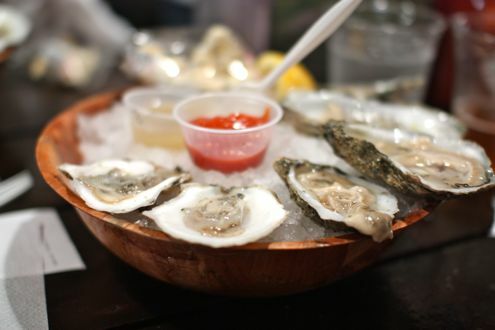 They were freshly shucked, very clean, and nicely presented in a wooden bowl (orders of dozen came out on a steel tray). 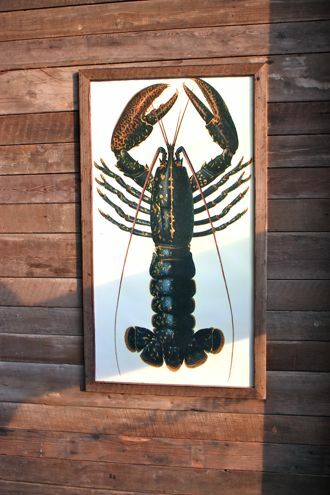 As for our entrees, we both ordered the Maine Meal which comes with a choice of fish, two sides, and a sauce. 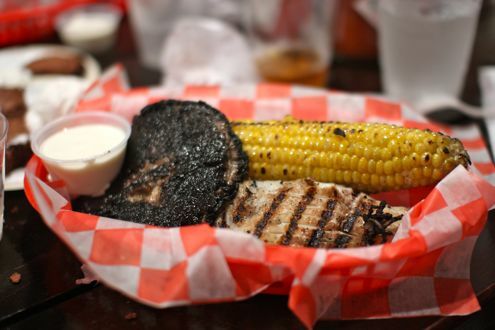 I ordered the grilled tilapia with lemon-garlic aioli, grilled broccoli, and mashed potatoes while Rachel got the grilled cod with a grilled portabella mushroom and corn on the cob. Rachel originally wanted to order the whole steamed lobster, but alas, it was 86’ed by the time she stepped up to the counter. The fact that they included this on the complimentary menu spoke volumes on their effort to appease new customers though. Anyway, I enjoyed the tilapia. It was nothing fancy, but for $7 a la carte (the Maine Meal is normally $14.50), one shouldn’t need to complain. 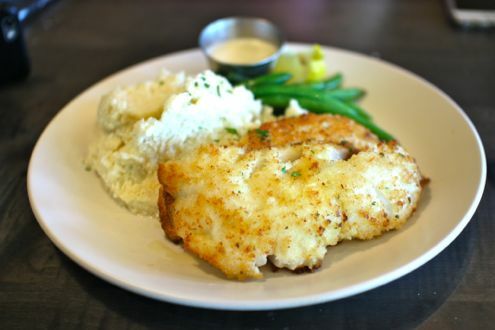 While it was a tad salty, it was a decent piece of fish. 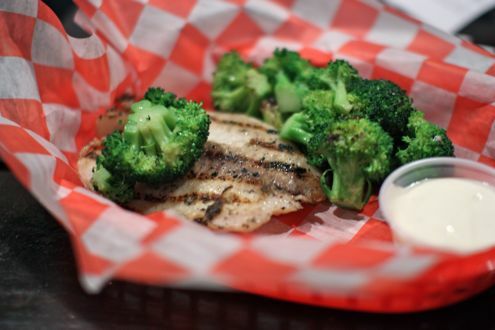 When my platter arrived, I received a generous portion of grilled broccoli but my mashed potatoes were nowhere to be found. After informing the waiter, he told me that they had run out. Minutes later, he delivered a fresh batch of French fries! 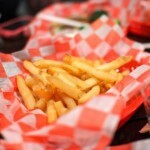 Nice gesture (and really good fries, to boot). 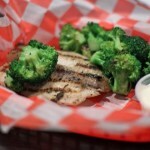 Rachel’s cod was excellently grilled and had great flavor to it, especially when dipped into the lemon-garlic aioli sauce. The corn was a little cold by the time she had bit into it, but it still had a nice char to it, if not a tad too buttery. The star of the show had to have been the mushroom, which she thought was huge, until she saw a fellow diner’s even larger mushroom. She said that alone could be an entree, and was a great deal as a side. 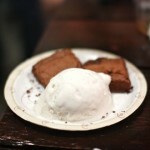 We also split a brownie sundae which arrived with two scoops of vanilla ice cream. 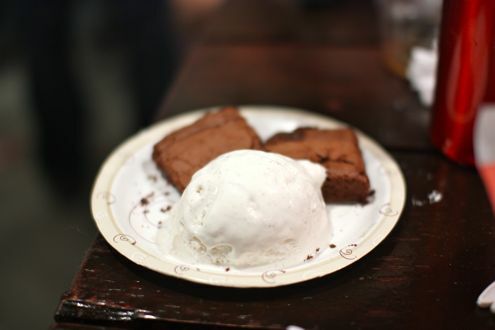 It was a great way to end the meal as the homemade brownie was soft and delicious while the ice cream, which was nearly melted by the time we got around to eating it, was still very rich in flavor. 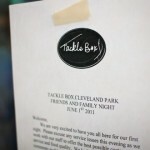 We can see Tackle Box being very successful in Cleveland Park given the location, expansive menu, and huge dining space. 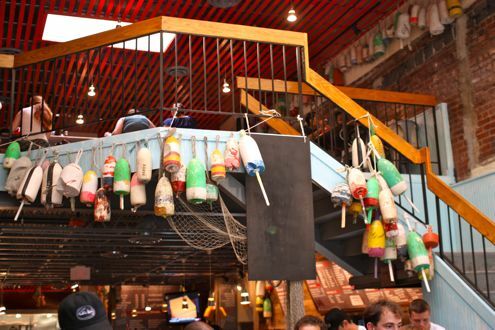 It’s been a long time coming for that long-vacant space, and we can’t think of a better restaurant to fill the void than Tackle Box. 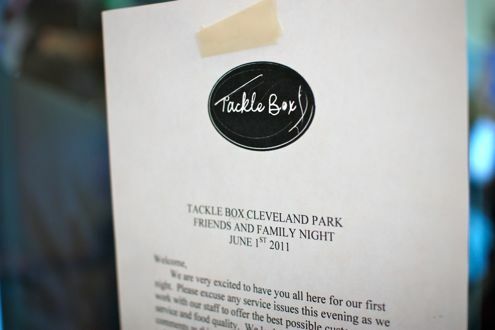 Tackle Box is located on 3407 Connecticut Avenue in the Cleveland Park neighborhood of DC. Well folks, it looks like Bethesda is about to become a pizza haven. 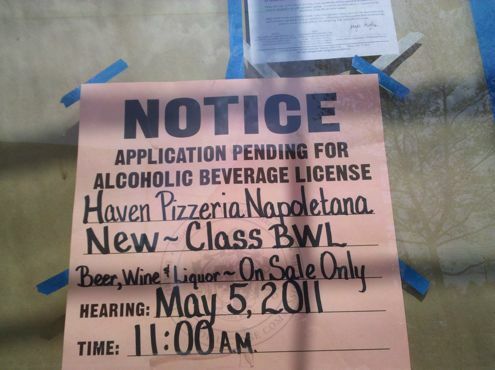 And yes, we literally mean that – Haven Pizzeria Napoletana is scheduled to open late spring at 7137 Wisconsin Avenue in downtown Bethesda. 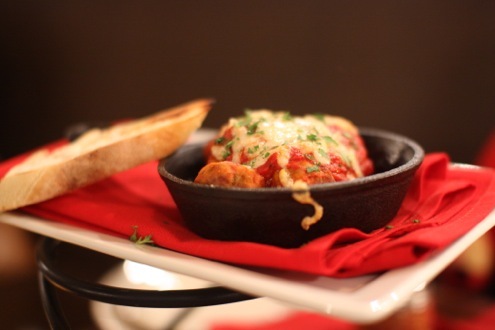 Haven Pizzeria is a joint venture between founder and partner, Tiger Mullen, and New Haven-born pizzaiolo Marco Stefanelli, who will also manage the restaurant and has an extensive resume in the pizza and restaurant business. The pizzeria will feature New Haven-style pizza, cooked via anthracite coal ovens that give off a distinctive “char” flavor. The dough will be freshly prepared on a daily basis while ingredients such as plum tomatoes (hand-grounded daily) and cheeses will be imported from Italy. 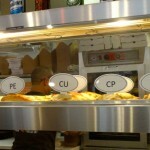 Even the water used to make the dough is filtered in such a way that it “replicates the exact characteristics found in the reservoirs feeding the best pizzerias in the world”, Haven’s website claims. 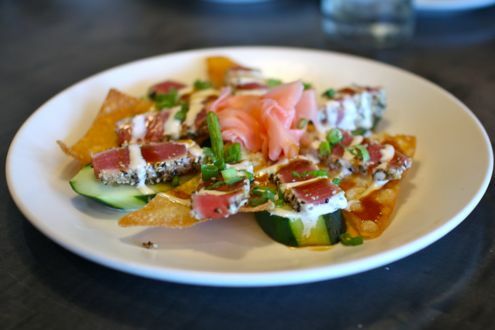 In addition to pizza, Haven will offer salads, antipasti, and homemade gelato. 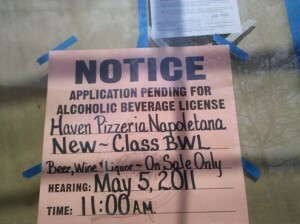 It looks like Haven will also have a full bar with an extensive wine list to boot. 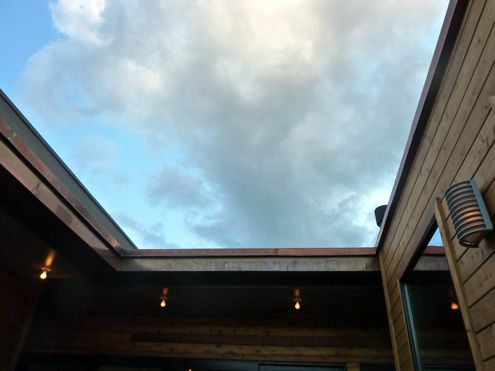 You can even see their construction progress on their Tumblr page. Judging from pictures alone, this place is going to be huge! Considering how much we love Pete’s New Haven pizza, which is a couple of miles down the road, we are very excited for Haven to open. Between this, Pizzeria da Marco, and Naked Pizza all opening very soon, let’s just say we’re not too upset that we’ll have so many great new pizza venues to choose from! 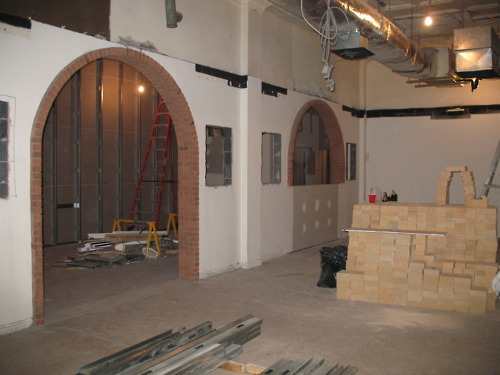 Haven Pizzeria Napoletana will be located on 7137 Wisconsin Avenue in downtown Bethesda and is scheduled to open late spring. Looks like downtown Bethesda will be welcoming a new beer and wine store in the near future. 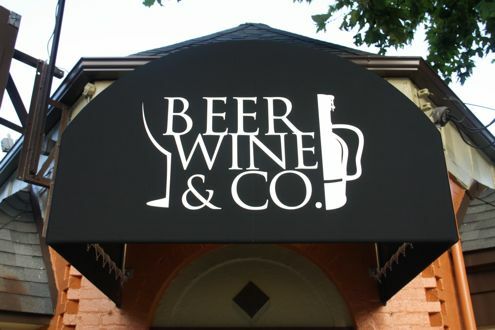 Francis Namin, the owner of Food Wine & Co., told us he plans to open the cleverly titled Beer Wine & Co. at the former McCormick Paints store located on 7029 Wisconsin Avenue and is aiming for a May 15 opening. 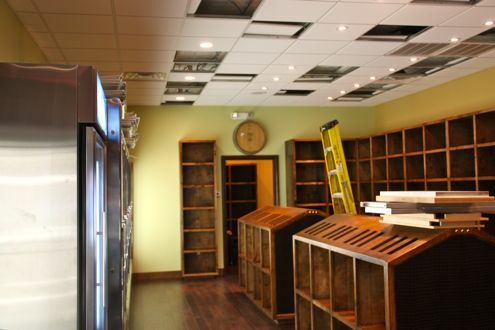 Namin, whose brother owns nearby Cork 57, said that this store will be bigger than its Bethesda Avenue counterpart, and will feature a larger selection of microbrews. Considering that Cork 57 is the only place I have found Troegs Nugget Nectar in the Bethesda area, it sounds rather promising. A few months back, we mentioned that a new pastry shop was opening on Woodmont Avenue in Bethesda. 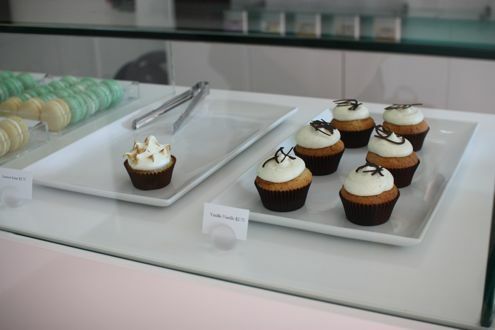 It looks like we didn’t have to wait too long as Tout de Sweet officially opened for business this past weekend. 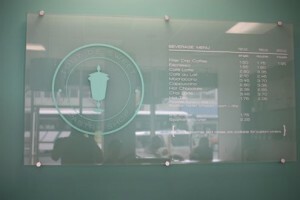 We had heard that the grand opening was this Saturday, but as we walked by their shop on Friday and noticed the open door, it had turned out they were running a soft opening. At first glance, Tout de Sweet is very minimalist but also inviting at the same time. 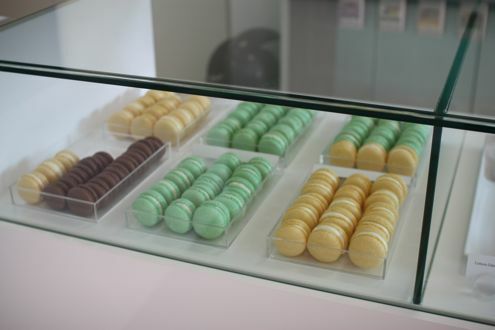 The shop is decorated in green pastel colors, and the display case shows their strengths of French macarons, cupcakes, mini pastries, and muffins. Although not everything was out because of the trial run, we were very excited by what we saw. Tout de Sweet is the brainchild of husband and wife team Jerome and Sofia Colin. Chef Jerome comes from an extensive French pastry background, and his resume includes working at the historic Willard Room, Alain Ducasse’s restaurants in Europe, and most recently, at Bourbon Steak at the Four Seasons hotel. Sofia manages the shop, and was very friendly and apologetic of the fact that their display case was not yet full, even though we completely understood that they technically were not opening till the following day. After bringing home a chocolate and pistachio macaron as well as a vanilla cupcake and devouring both, we just couldn’t help ourselves and found our way back to the shop on Saturday. Sure enough, they already had several mousses and cakes on display, each one looking more decadent than the next. 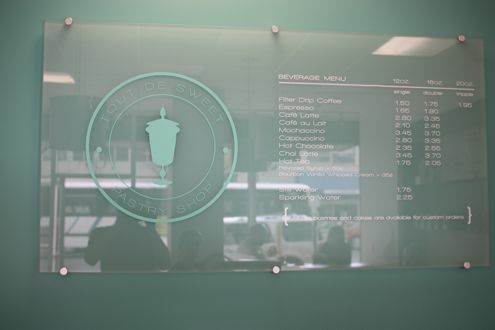 The shop also offers an extensive coffee and tea selection to complement the pastries. The only disappointment is that there are only two small stools to sit in the front of the store, as this is a place you could see yourself lingering in rather than picking up some pastries as part of an errand run. 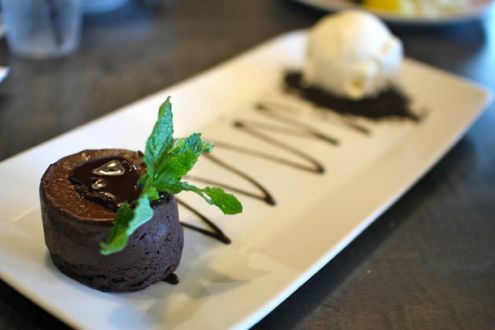 It appears their biggest competition would be Cacao on Bethesda Lane, as they also offer delicious macarons and intricate desserts, but their emphasis is more on chocolate than anything. 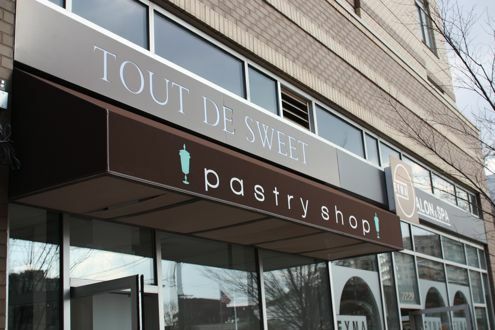 Clearly there is plenty of cupcake competition in Bethesda, let alone the DC area, but it seems that Tout de Sweet may be up to the challenge. It looks like I may need to take some frequent walks to Woodmont Triangle once Spring is finally is here to stay. Tout de Sweet is located on 7831 Woodmont Avenue in downtown Bethesda. We here at DMV Dining have long been curious as to what would open at the retail site under construction at the intersection of Woodmont and St. Elmo Avenue in downtown Bethesda. After several months, a sign was posted on the window announcing the forthcoming opening of Pizzeria Da Marco – a restaurant serving “authentic Neapolitan pizza”. After digging a little deeper, the excellent blog pizzablogger shed some more light as to how Pizzeria Da Marco will differentiate itself from the rest of the pizzerias in the neighborhood: its oven. 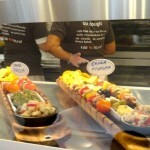 Now Maryland is set to showcase its first Ferrara oven at the soon to be opened Pizzeria Da Marco in Bethesda. Now of course any pizza oven is exactly that…an oven. And an oven alone guarantees nothing. 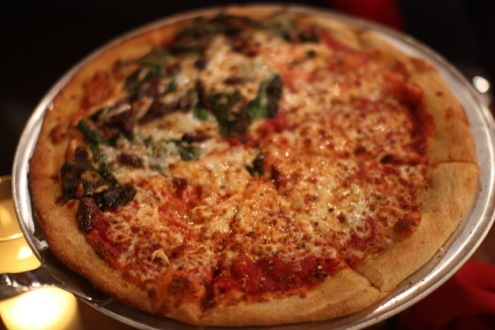 It takes people with drive, knowledge and passion to make great pizza. But the selection of a Stefano Ferrara oven certainly points towards an ownership that is passionate about pizza, so I have hope for this new joint. Good luck the rest of the way. Decorated with mosaic tiles and iron chandeliers, Pizzeria da Marco will seat up to 130 customers in 5,000 square feet of restaurant, including two semi-private party spaces. In addition to the chef’s dozen or so 12-inch pizzas, the menu will feature salads, calzones, charcuterie, 12 wines by the glass and gelato churned on site, making it “a little trip to Naples,” hopes the chef. Sounds like Pizzeria Da Marco is dead serious about its pizza if it plans to incorporate a Ferrara oven, and hey, we’re all for it. Looks like Mia’s Pizzas is in for some competition. And that’s not a bad thing. Not at all. 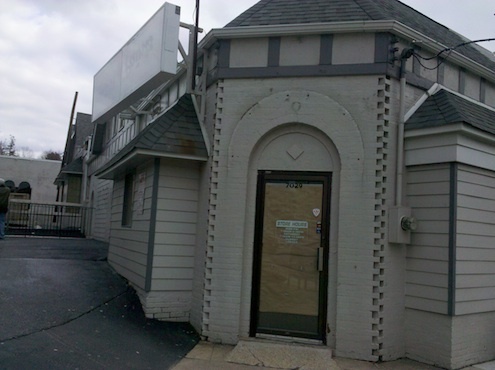 UPDATE II – Pizzeria Da Marco has uploaded a “trailer” on its website hyping the restaurant’s opening. According to the countdown timer, the pizzeria plans to open 41 days from today, which is Monday, March 28. 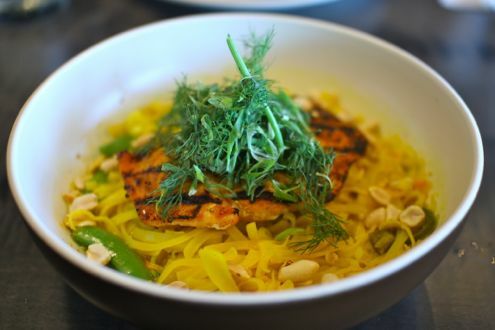 UPDATE III – Eater DC is reporting that the opening has been delayed until mid-April. UPDATE IV – Bethesda Magazine is reporting that the opening has been officially announced for Monday, May 16! Pizzeria Da Marco will be located at 8008 Woodmont Avenue.